The island is big, there are lots of places to go, you will need to transfer from the airport and shuttle between your hotel, shops and restaurants and you are certainly wondering how to get around. 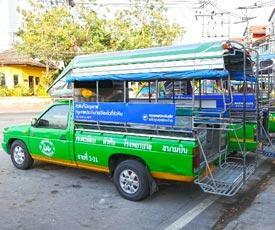 The good news is that Phuket transportation is everywhere and comes in may different colourful shapes and sizes. Tuk Tuk are popular small taxis which can be found all over the island. Simply flag one down, though they would probably offer a ride before you could do so. Negotiate your fee before getting on which will start from approximately 50 Baht depending on the distance you want to travel. These local open buses are basically a pick-up truck with two rows of benches on the back and a bell under the roof to signal them when to stop. 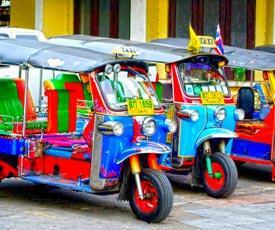 They make transport safe, are cheaper Tuk Tuks and fun to use. They operate between 06:00 and 19:00 on specific routes and prices are fixed. This is the expensive option if traveling in air-conditioned luxury is your thing. There are plenty of them and they are always looking for business, especially at the airport. A trip from the airport to a central location such as Karon should cost no more 1 000 Baht, irrespective of the number of persons in your group. Not the safest, but definitely the fastest and cheapest. The drivers wear numbered green, orange or red vests so they are easy to spotted and know their way around the traffic pretty well. 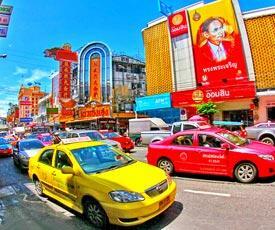 A trip should cost no more than 20 or 30 Baht. 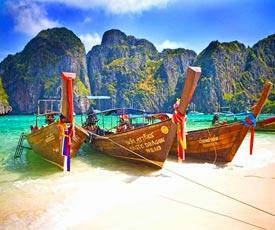 Long tail boats get their name from the rod used to steer the boat featuring a propeller at the far end. You can charter your own long tail and let a local take you to snorkeling and sightseeing spots you might otherwise have missed. Though due to safety considerations it is advisable to rent a car or taxi, scooters are available everywhere and many hotels offer their own scooters for rent. 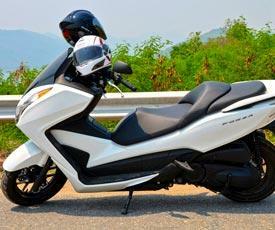 Approximately 200 Baht will get you your own wheels for the day.